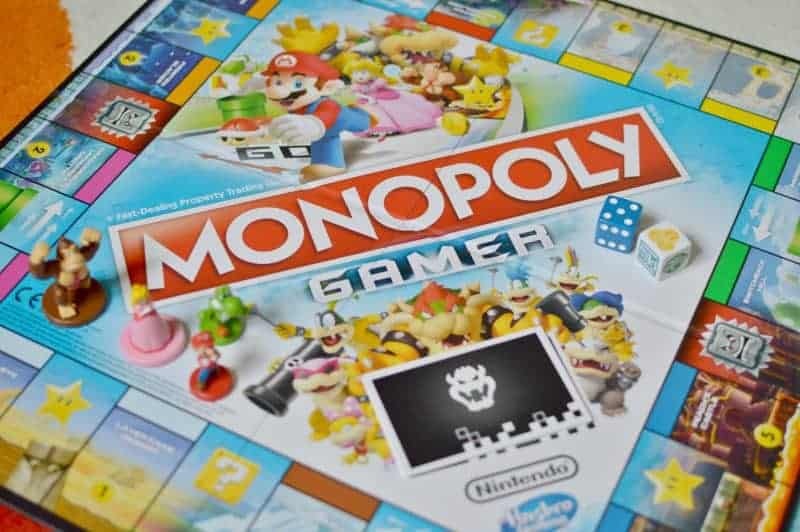 Combining a love of board games and the classic Nintendo favourite characters, the Monopoly Gamer is the perfect addition to shake up the family game night. Whilst the traditional Monopoly game has stood the test of time, it is great to see a modern day version. With the fun characters from the Nintendo Mario game replacing the classic tokens, it immediately draws in the children and gamers to enjoy a game or two. 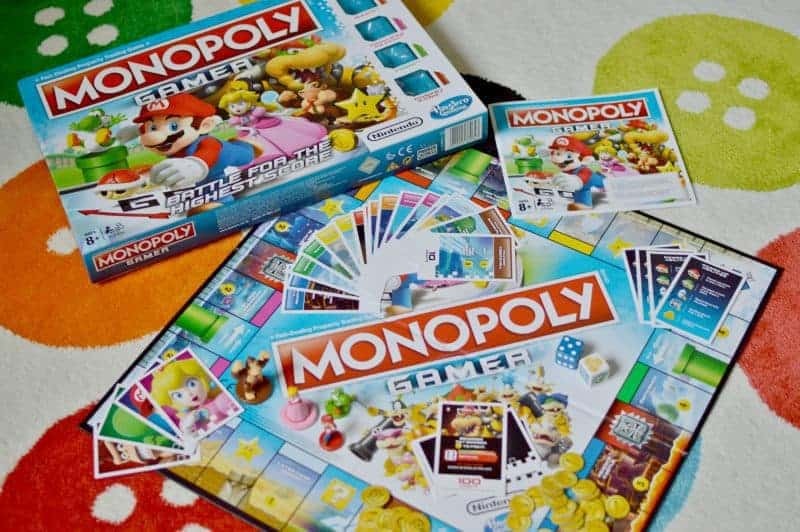 Monopoly Gamer is the latest installment with a Nintendo twist, as it joins forces with beloved Nintendo video game characters. Instead of the usual Monopoly tokens, the game features Super Mario characters, each with their own special powers to use within gameplay. Play as Mario, Princess Peach, Yoshi, or Donkey Kong and finish the game by defeating Bowser at the end. It’s not just about money in this game; players earn points by buying Properties, collecting gold Coins, and beating the bosses. Take what you know about the classic game of Monopoly and turn it on its head. Whilst there are some elements of the traditional game within the Monopoly Gamer game, it is, on the whole, a new and exciting game to be enjoyed. Due to the new way of playing the game, Hasbro has understood that it will take a good few goes in order to get our heads around how it works. With a reminder card issues to each player alongside their character token and card. Perfect to guide everyone through the first games until it becomes second nature. One of the biggest differences to the Monopoly Gamer game play is that as you pass go, you still collect your coins. However, you are then invited to take part in a boss fight. Turning over the boss card from the deck to reveal the Boss, decide whether you are willing to pay the roll cost and attempt to roll a higher number than that on the card. If you decline the opportunity or fail to roll the required number then the player to your left will be able to attempt to defeat the Boss. The winner gets to cash out the bonus on the Boss card and keep the Boss card to one side ready for the end of the game. We’ve been enjoying the game over the recent half-term holidays and whilst it took us a bit of time to get into the swing of things. We did have fun learning the new elements of the game and can’t wait to add some of the additional character tokens to the game this Christmas. The Monopoly Gamer board game is available to buy from Amazon and all other good toy retailers. Additional Monopoly Gamer figures are available separately (8 to collect).